I haven't seen any yet. I know they are s..l..o..w..l..y.. coming out. I would like to go see it on a big screen. A good date night for the wife and I.
I keep forgetting about this. It's a week Sunday away - and thankfully there is no football on. Is it only the 'Yellow Submarine ' film that's being shown or is there a pre/post-feature to go along with? I think it's only the film that'll be shown ^. I'm going to it at 11am on Sunday. It isn't selling well at the cinema, at the mo there's about 12 seats sold. Anyhoo, this is the crap that we're getting (sorry it won't embed for some reason). They may be utterly crap and totally pointless but they are limited to everyone who turns up and whoever they give the rest to free of charge as it's been dreadfully marketed. Apple is brilliant at these limited to whoever wants one and anyone who might as well because, well, why not. I'm going to the GFT in Glasgow; two screenings, and even if you merged the two into one screening it wouldn't be nearly sold out. If I wanted I could go to both - I don't. Do you think if I went to the cinema after the 6pm evening showing and took the rest of the cards, I could sell them on eBay for 5c each (seems about how much they'd be worth)? You wouldn't mind but if they ran 2 or 3 ads on the national broadcasters at 6-8pm when the Boomers are watching they'd get more bums in seats, but that would actually take effort, and we all know Apple don't like stretching their fingers too much. Oh yeah when are the 50th anniversary White Album pens coming out? I've always wanted to spend 100 quid on a white pen with the words 'The Beatles' on it, truly iconic. In case you missed it, @AppleScruffJunior, Paul's confirmed a deluxe for the "White". As it turns 50 and returns to the big screen, Mat Snow weighs the impact, fallout and legacy of the Beatles' most polarising product. Their most polarising product? Wouldn't that be MMT or LIB ? Apple now advertise online because they want to resonate with the kids and be hip, they forget that hardly anybody pays attention to online advertising. I'm sure they did next to nothing for '1+' yet did bother with 'Pepper' at 50. You could probably ask for 50 packs of the cards before you go in, stick them on eBay and make a profit before you come out after the film has finished. Is there anyone who dislikes the YS film? It's a bit of a laugh, and the colours in it are surely enough to keep you occupied for its short run-time (in particular if you're a fan of fungi). Thanks for rubbing it in. Plenty of empty seats in the British Isles, but Apple is once again short-changing Aussies (and this time most of the world). Can I book a virtual ticket? ^If it makes you feel any better, the cinema I'm seeing it in is the definition of a sh*thole. 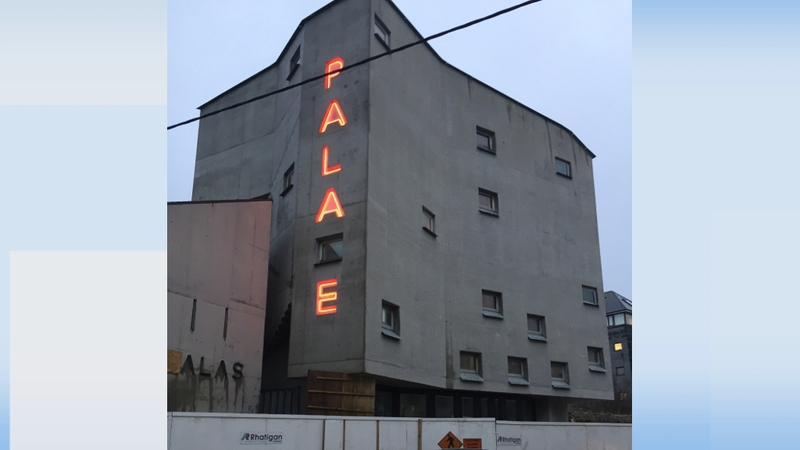 It cost €8.4 million of taxpayers' money to build and its ticket box is outside (this is Galway where it rains 364 days of the year), it has uncarpeted, concrete stairs without railings inside, and generally looks like a Soviet-era building on the inside and out. It's my first time seeing a film in it (it opened around April), and it'll be....an experience to say the least. €8.4 million of taxpayer money? Ridiculous... That cinema won't last long! Definite echoes of Submarine in this short. Soundtrack by Ron Geesin, who also got a writing credit on Pink Floyd's Atom Heart Mother . This is Ireland darling, we will pump money into useless projects and let more valuable ventures lie unfinished or not started at all. Who needs a children's hospital when we can have a 1/2 finished cinema in Galway? I'll see if I can snap a few photos tomorrow of the inside (if it's not busy). I will also show off the incredible photo cards we're getting (there's been no mention of the stickers for my showing, I better get my damned stickers!). I'll give you mine as in the Apple meaning where you have to pay and as this is Beatles and they are limited edition and any other reason that exists to bump up the price, you may need to auction a kidney. I want the normal stickers. Gonna do my best to avoid any stickers that have been damned. I have, on a rough check, nine showings not sold out to choose from. Five different cinemas, matinee and evening, one evening sold out. I think Curzon Broadway, 6 o'clock. Though if I go for an 11am/12pm showing, I can go see John Cleese do a Q&A in the evening. Questions, choices and deliberations. I ask you. And I'd only want to know if it was the trousers, or if there was something more, maybe the in-seams. You should go to all nine, even if having to miss large sections of the film to do so. Go see Cleese and ask him when the hell is next autobiography is coming out. His first one stopped just before he joined Python, come on Cleese we need more! Or go to all 9 showings and get 9 sticker sets, baby wooooooooooooooooooooo!